The Tanglewood Beach House is a sanctuary of tranquility and sophistication, tastefully furnished to reflect the relaxed West Coast lifestyle. Special care has been taken to equip this vacation house with all the amenities you would expect in a fine hotel with the added features and space that are unique to a home. These comfortable accommodations offer you an experience of seaside living at its best. This 1150 square foot beach house is situated all on one level for stair-free living with two bedrooms, two bathrooms, full gourmet kitchen, dining area and living room. The open plan offers a relaxed atmosphere and beech wood floors extend throughout the living areas to create a low allergen environment. Your home away from home boasts a fully equipped gourmet kitchen with gas cook top, electric oven, dishwasher and full size refrigerator with freezer. Outfitted with all the pans, pots and kitchen tools you might need to cook a feast or to enjoy a quiet night in. 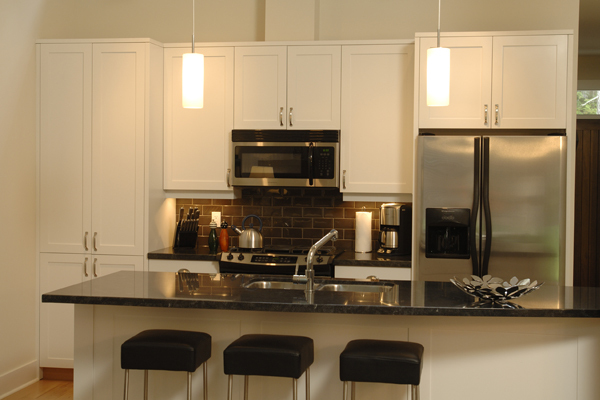 The granite counter tops and bar seating make entertaining and meal preparation a breeze. You can also take the cooking outside to the barbeque on the private patio. The back patio is set up with chairs, table, umbrella and a large natural gas barbeque with burner for outdoor entertaining. The large back lawn is a great place to turn cartwheels, to kick around a ball or to enjoy a glass of wine while taking in the afternoon sun. Inside, take it easy! Stretch out on the sofa and enjoy the 42” LCD television with digital cable and DVD player. Or, curl up with a book on the window seat next to the natural gas fireplace for a lazy morning. The spacious living area provides plenty of room for all and the sofa opens into a comfortable double bed to create additional sleeping arrangements. Comfort and solitude are yours! Each spacious bedroom is furnished with a queen size bed dressed with fine linens, cotton blankets, extra pillows and down duvets. You’ll find plush bathrobes in each bedroom closet to enjoy during your stay. 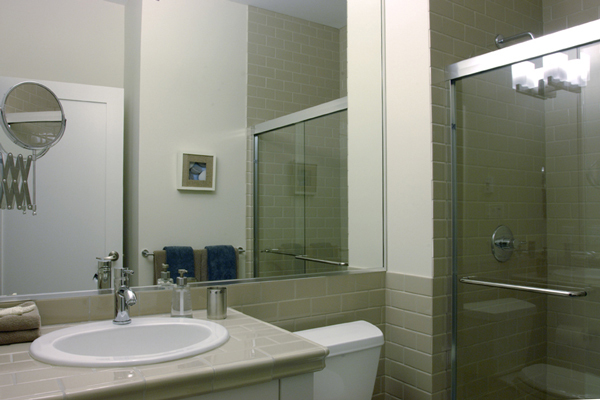 Both bathrooms have spacious showers, heated floors and are stocked with luxurious, plump towels. 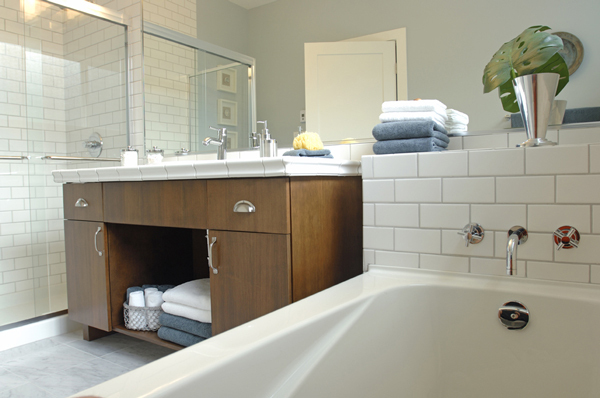 Take time to light some candles and linger in the Master Bathroom’s deep soaking tub. Slip a CD into the Bose Wave or connect your iPod to the docking station and enjoy a meal at the eight people for family dinners. A booster seat is provided, as well as children’s cutlery and dinnerware. 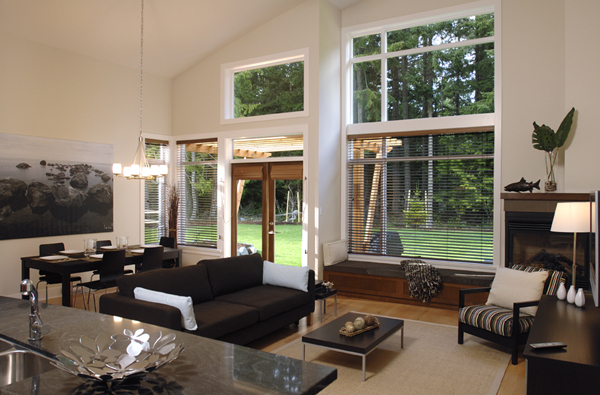 The vaulted ceilings and windows offer beautiful views of the Fir, Cedar and Arbutus trees just outside. 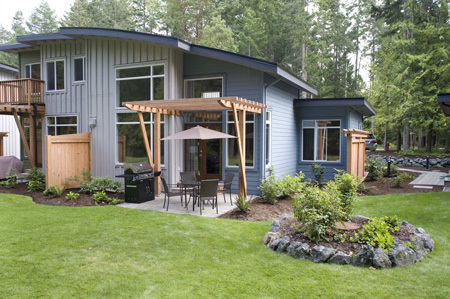 Double French doors open onto the patio and the majestic old growth forest of Rathtrevor Provincial Park. 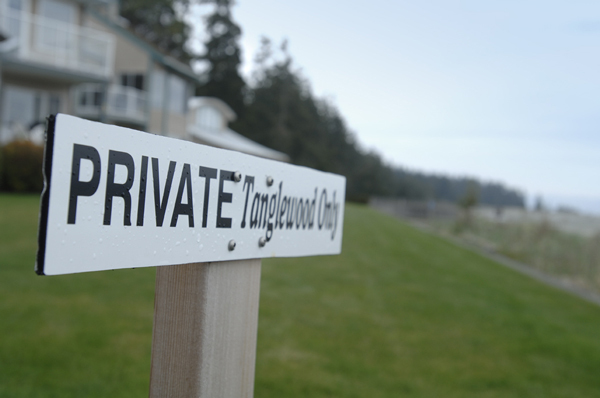 The neighbourhood of Tanglewood enjoys private access to a magnificent two-kilometer stretch of wide, sandy beach. 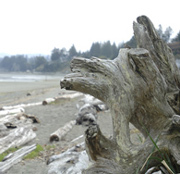 A short stroll on a paved walkway will take you to the ocean, which at low tide recedes almost a kilometer. This world renowned beach is an ideal place for exploring and provides everyone with an opportunity to play and create in the sand. 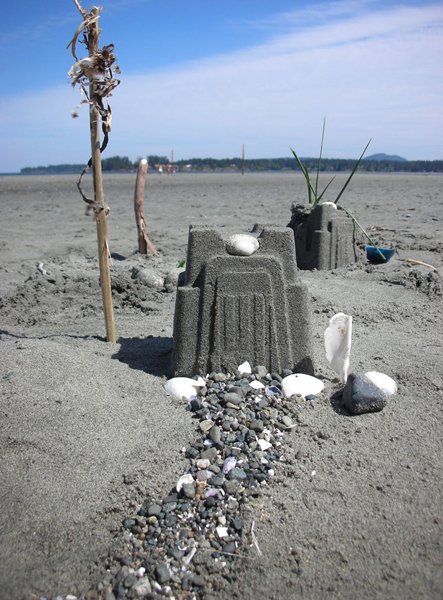 During the day build sand castles, hunt for seashells, fly a kite or roast marshmallows over an open fire on the beach. When the tide rolls in over the sun-baked sand, the warmed water is unbeatable for swimming and saltwater fun. Beach toys, wagon, cooler and towels are all provided by the Tanglewood Beach House for days filled with great beach adventures. For friends and family who want to keep in touch, a local telephone number for the Tanglewood Beach House is provided upon confirmation of a reservation. The Tanglewood Beach House has high-speed Internet service with Ethernet cable and wireless capabilities. If you’re looking for inside entertainment, the Tanglewood Beach House is set up with a 42” LCD television with digital cable providing local and national programming. There is also a DVD player and popcorn popper so you can plan a movie night in! Bring along your iPod to plug into the Bose Wave CD player or pop in your own CD. Enjoy your own tunes or choose from a selection kept at the Beach House. for rainy days or quiet time. 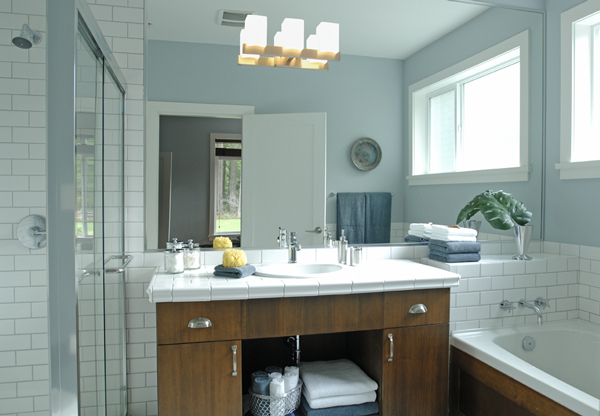 Bathroom towels, beach towels and linens are provided at the Beach House. 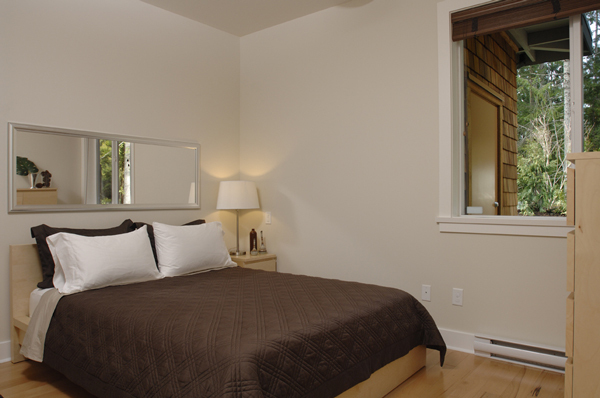 You’ll find duvets, extra blankets and pillows in each bedroom as well as bathrobes for your comfort during your stay. 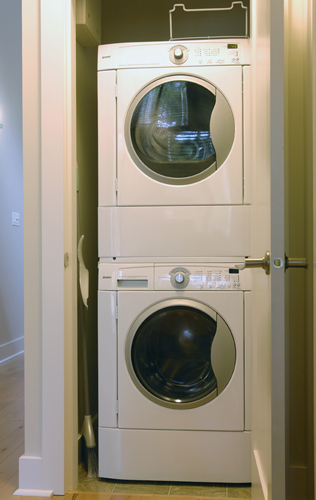 Daily housekeeping services are not available, but for your convenience, a washer and dryer and eco-friendly laundry detergent are provided at the Beach House. 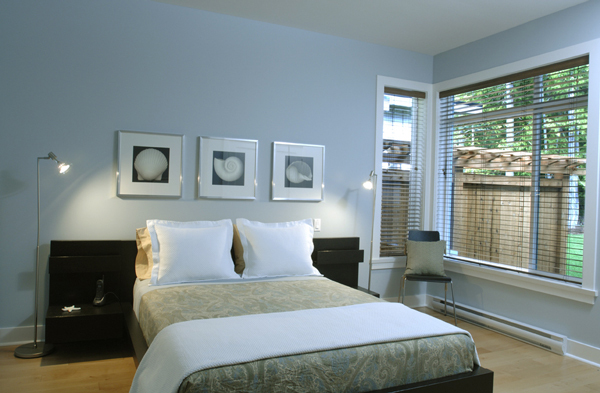 Special arrangements can be made for weekly cleaning on long-term rentals.